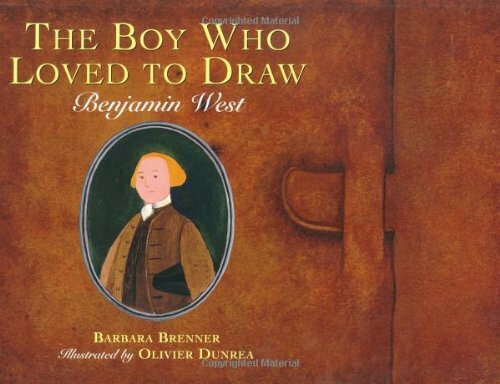 When Benjamin West was seven years old, the only thing in the world he wanted to do was draw pictures. For a time, that got him into a peck of trouble. Papa wasn't pleased when Benjamin "borrowed" his best quill pen. Mama wasn't happy that Benjamin would rather sketch the cows than milk them. And Grimalkin, the family cat, was not keen on being the source for paintbrush hairs! Truth was, there was nothing Benjamin cared more about than art, and that led him to some surprising adventures. Here, in lively easy-to-read words and vivid pictures, is the engaging true story of Benjamin West, the farmboy from colonial Pennsylvania who grew up to become the first world-famous American artist and a friend to Benjamin Franklin and the king of England.